Spring is finally here – and my family is looking for lighter fare for dinner. 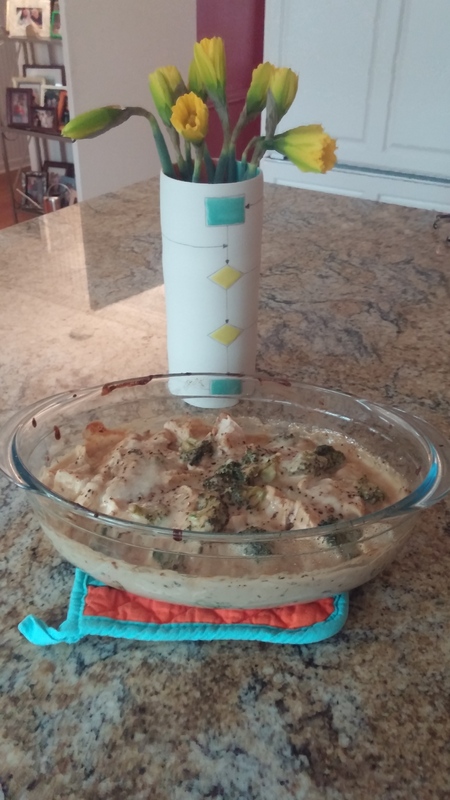 So, today, when I picked up our first bunch of daffodils I also researched this deliciously trimmed down version of the old favorite, Chicken Divan, on the great website, Eating Well [http://www.eatingwell.com/recipes/chicken_divan.html]. 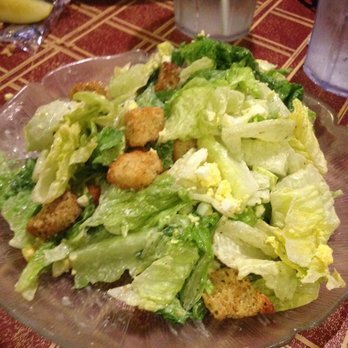 Coming up later this week, I will share with you a family favorite salad recipe from the St. Louis Mayfair Hotel (now “The Magnolia”), Mayfair Salad Dressing. Preheat oven to 375 degrees. Coat a 7 x 11 glass baking dish with cooking spray. Place chicken in a medium skillet or saucepan and add water to cover. Bring to a simmer over high heat. Cover, reduce heat to low and simmer gently until the chicken is cooked through and no longer pink in the center, 12 minutes. Drain and slice into bite-size pieces. Heat oil in a large nonstick skillet over medium-high heat. Add leek and salt and cook, stirring often, until softened but not browned, 4 minutes. Add flour, stir to coat. Add broth, milk, sherry, thyme and pepper and bring to a simmer, stirring constantly. Add broccoli; return to a simmer. Remove from heat and stir in 1/2 cup Parmesan, mayonnaise and mustard. Spread half the broccoli mixture in the prepared baking dish. Top with the chicken, then the remaining broccoli mixture. Sprinkle evenly with the remaining 1/2 cup Parmesan. Bake until bubbling. 25 minutes. Let cool for 10 minutes before serving.